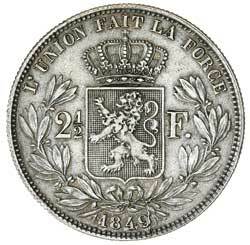 BELGIUM, Leopold I, two and a half francs, 1849 (KM.12). Nearly extremely fine. 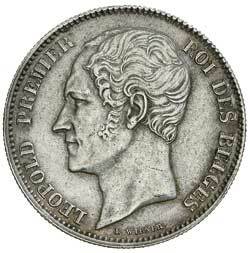 BELGIUM, Leopold I, ten centimes, 1847 (KM.2.1). Good very fine.